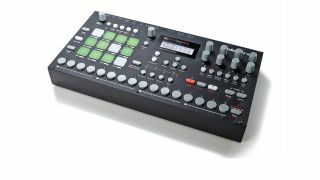 (Above) Elektron's Analog RYTM triumphed last year. What will get your vote for 2014? There's been a lot of great music technology hardware released over the past 12 months, but now Future Music magazine wants you to choose your favourite bit of gear by placing your vote for the Music Hardware of the Year Award 2015. Run in conjunction with the UK's Music Industries Associaton (MIA), this award is designed to celebrate the best in performance, quality, value for money and retail success. Our shortlist of music hardware products was compiled by the Future Music team and the MIA's members, and recognises the finest new products to have come to market since autumn 2014. Tell us who you think should win the Future Music Music Hardware of the Year Award 2015 by voting in the poll below.